« Can You Wear 3 Different Prints Like Kate Moss? It’s no secret that Nina Dobrev has a body to die for. The Bulgarian beauty’s waistline is insanely tiny — this we discovered after seeing the actress wear a figure-hugging gown to the Emmy Awards back in 2010. Speaking of her knockout body, Nina was spotted flaunting her legs while out and about in New York recently. She wore a micro-mini jumper dress and emphasized her gams by capping off the piece with pointy ankle-strap flats. We weren’t so sold on the combination, but we did like the way she dressed up the attire with a khaki trench and a red crossbody bag detailed with a scarf. The extras kept her looking polished and put together. Well, what’s the verdict, do you think a scarf-detailed red purse and a trench saved Nina’s oddly-mixed ensemble? Don’t get us wrong, we don’t find the getup ugly, but we do think a different pair of shoes, say, classic white flats or even sneakers, would have been the better choice. Would you agree? Nonetheless, a wrong decision made on the footwear certainly didn’t stop Nina from trying to correct the “problem”. With a few hacks here and there — namely, topping the outfit with a structured coat and punctuating the look with a scarf-detailed red purse — she was able to refine the attire and keep it surprisingly elegant. Just goes to show how your choice of extras can make a huge difference, right? Do you think you can wear Nina’s outfit and work it? 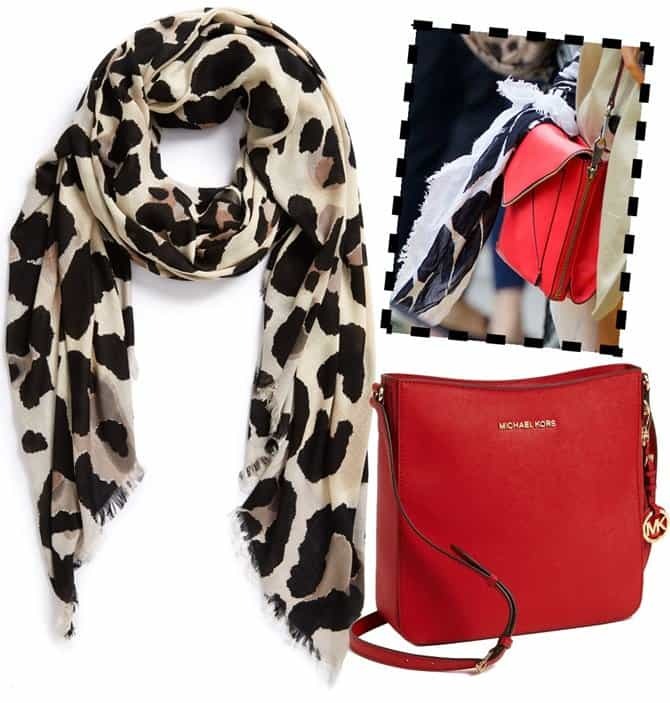 We like how she used a black-and-white scarf to keep the poppy red purse fancy. The achromatic hues complemented the color so well. Together, they also spiced up a very neutral and classic jacket. 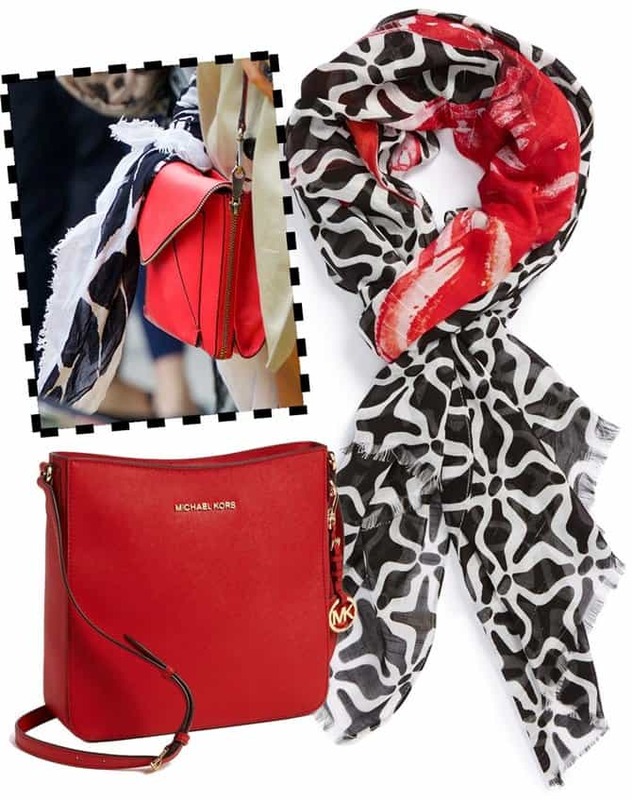 If you want to come up with such a combo, try these black-and-white scarves from Collection XIIX and Vince Camuto. To channel Nina’s here, top your outfit with a khaki trench and you’re all set!